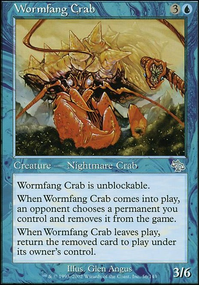 Phenax really cares about creature toughness, so why not run beefier creatures? you aren't attacking much with this deck anyway. here is my "toughness matters" mill deck. it runs creatures with high toughness so I mill people out faster. 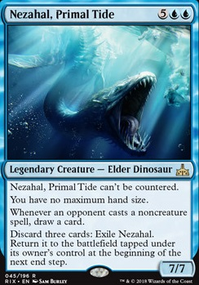 the only creature in the deck that actually wants to attack is Fleet Swallower , the rest are just creatures with high toughness that you can turn sideways to mill people according to the creature's toughness and running things that untapps these creatures so you can tap them again for extra mill. Phenax, God of Mill run all the walls, run Tree of Perdition and such. Im a big fan of my muldrotha deck using Fleet Swallower or Traumatize to mill myself, then using Jarad, Golgari Lich Lord and Lord of Extinction to drain everyone. works pretty well and consistent. If you are looking for cuts I have a few suggestions: For the cost I think Baloth Woodcrasher can probably come out. 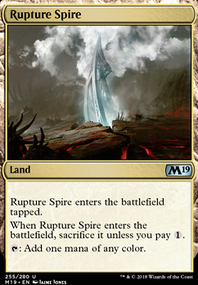 I don't see a lot of way to recur your cards so Dreamscape Artist seems like it can go; especially in green there are other cards to get you lands (e.g. Cultivate ). Polyraptor looks off theme because you aren't really damaging your own creatures. 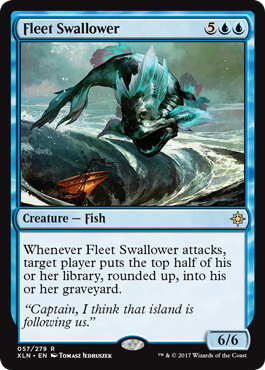 Fleet Swallower appears to be your only mill card, I'd take it out. You have several "no hand size" cards, Spellbook can probably go as it does nothing else. Tromokratis seems out of place in this deck as you don't have a way for it to Lure . 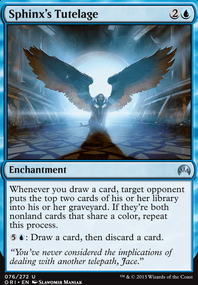 Omniscience is a great card and all, but because you have a lot of ramp you probably don't need it. You may want to find some space for The Mending of Dominaria . It stops you from self mill due to all the cards you draw, and it allows you to get a lot of lands into play at one time when it goes off. So the first thing I notice is that your curve is really heavy here. For cEDH, you want to look at playing cheaper cards so that you can eitehr do more thing s in a turn or so you can respond without having to leave lots of mana open. For that reason, stuff like Capsize , Sheoldred, Whispering One , Fleet Swallower , etc. should be cut for cheaper cards. One other thing I notice is that you have fallen ito a bit of a calssic trap where you have included lots of combo outlets once you've assembled your combo but a lot less in the way of actually assembling the combo. Having three outlets that only work with Bloodline Keeper Flip and don't really do muc houtside of the combo is a bit of a waste of slots. Similarly, adding an infinite mana line (which is not compatible with your keeper line) means that you can end up with a half of each combo in hand but are not able to end the game. I would recommend trying to consolidate your combo into more of a common theme with redundant parts rather than having lots of completely separate combos. 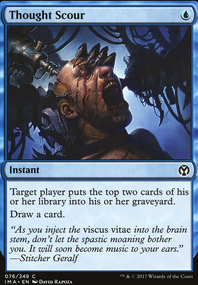 You also devote a large number of cards to resetting Mairsil, far more than you need to. 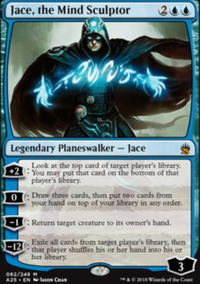 Ultimately, your commander should either be able to form a combo with only a few cards, or should act as reduncancy on your combo. 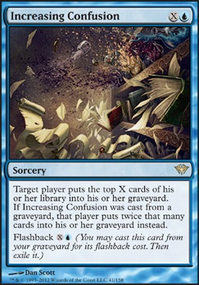 It kind of feels like you're runnig a lot of "reset for value" cards and these aren't very good in cEDH, especially since oyu're not playing a stax deck where the name of the game is attrition (and that is not a recommndation to turn this into a stax deck).